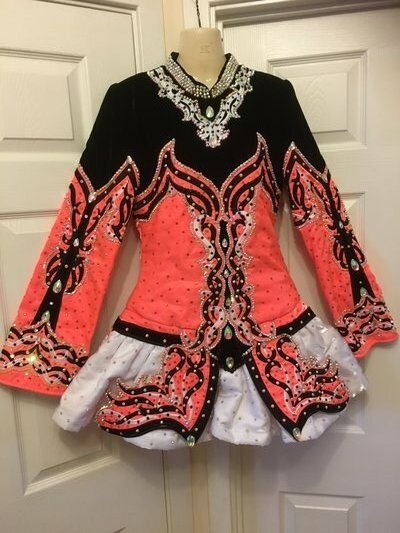 A beautiful coral, black and white dress covered in crystals giving the dress eye catching stage presence. 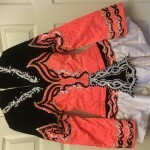 The colour is unique as it is two fabrics overlayed by Loretta to make the gorgeous coral. The black is a rich velvet with the rest of the dress being in satin. The underskirt is finished in coral giving a pop of colour with high leg kicks or lifts. 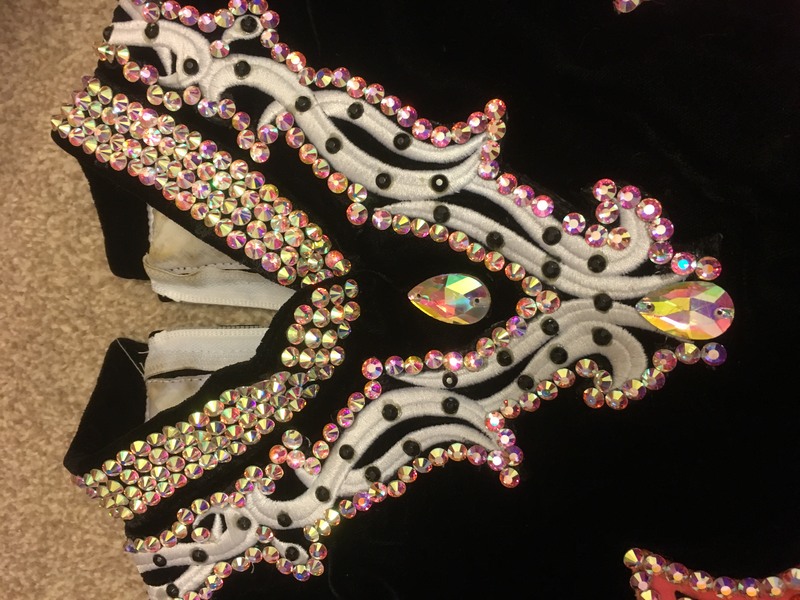 The dress has been covered in hundreds upon hundreds of crystals that make it sparkle and stand out on stage. 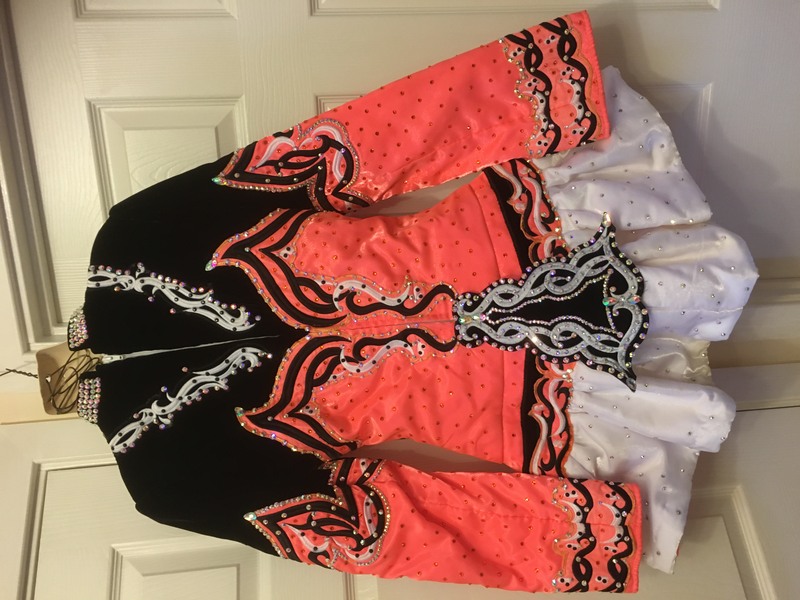 My daughter is 5’ 8” so this may be suitable for a taller dancer. Kick pants and 2 x headdresses. Sale is final, no returns please.